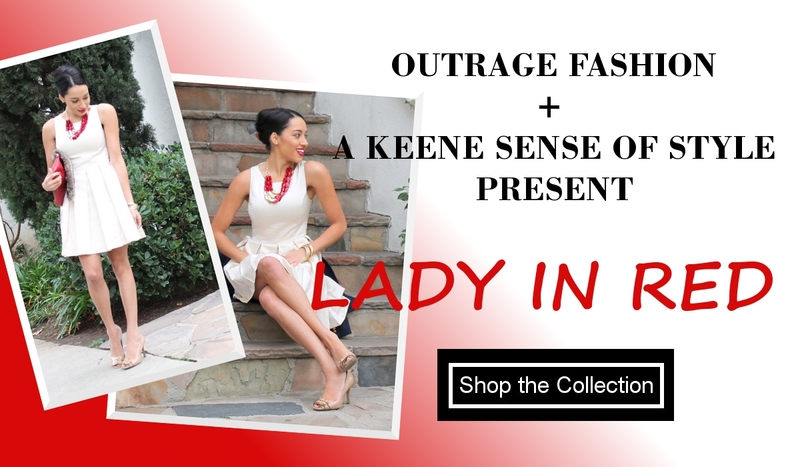 Outrage Fashion + A Keene Sense of Style! it is guaranteed to spice up any outfit, I am so excited to share it with you! sure to make a great statement! free gift wrapping until Christmas! Beautiful looks and that lavender jacket is fabulous!